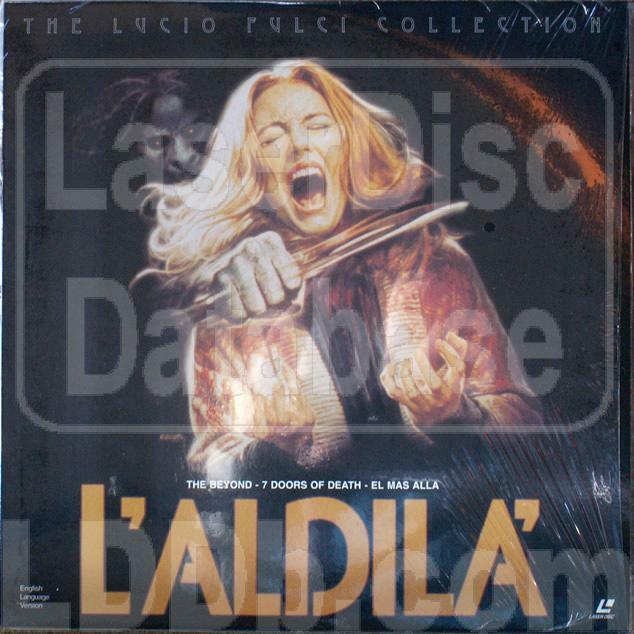 Part of "The Lucio Fulci Collection". Newly digitally remastered in 1996 (transfer is crisp and quite good for a low budget movie). It's a German NTSC laserdisc, all in English. Legal mentions are also in Spanish (why? ), and all the aka's are mentioned on the cover: The Beyond, 7 Doors of Death, El más allá.